Whether you’re looking to revamp your home or office’s curb appeal or simply looking to enhance the look you already have, Jones Paint & Glass windows and doors can help turn your vision into a reality. Our glass is not only beautiful but also energy efficient, meaning you can get the look you want while cutting your energy bills. All of our replacement windows are built to be energy-efficient, cost-effective, and hold up against the elements (water, air, noise). The other good news: All of our replacement windows are backed by our special 10-year warranty, so you really have nothing to lose. 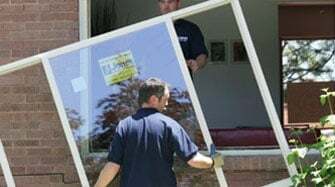 Contact us today to get your replacement windows picked out. We know getting replacement windows is not the first item on the list of things you’d love to do this weekend, so that’s why Jones Paint & Glass makes the whole process as easy and as stress-free as possible. Contrary to popular belief, replacing windows doesn’t have to be a hassle, and it doesn’t have to cost a fortune. When you visit the glass and window experts at Jones Paint & Glass, you’ll get the chance to work with knowledgeable technicians who know how to provide you with beautiful, energy-efficient replacement windows for your home at a cost you can afford. When it comes to impressing your customers and clients, the first thing they will notice is your company’s windows and doors. In a time when aesthetics are becoming increasingly important to large and small businesses alike, your company needs to choose the right windows and doors or it could result in a bad first impression that lingers forever. In addition to improving the outside view of your business, new windows and doors will also conserve energy, add durable construction, and be resilient in severe storms. Whether your needs are purely aesthetic or you just want to improve functionality, you can trust Jones Paint & Glass to do the job right.